Step #1 Understand what mindfulness meditation isnot. Meditation is not relaxation, nor is it necessarily a thought-free or even a pain-free zone. It can be quite the contrary. If you can accept this, your practice experience will likely go more smoothly... Many people have said to me, "I'm just not a good meditator; I can't shut my mind off". Or I often hear, "You just don't understand, I can not sit still, my mind races when I try to sleep at night, meditating is out of the question for me, I can't stop my thoughts". 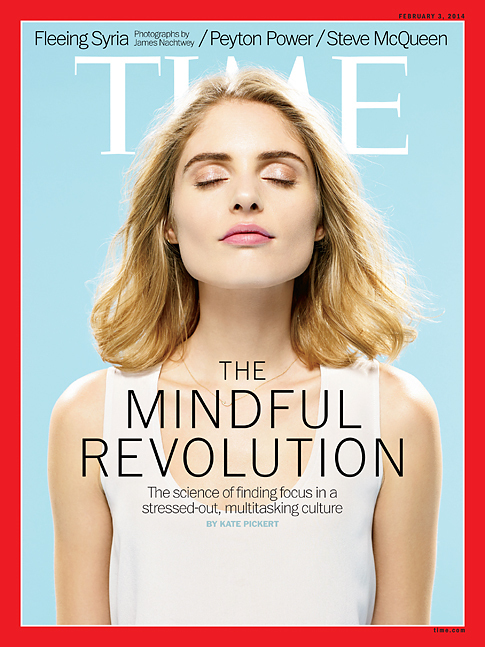 Often people feel really frustrated when they first begin to practice mindfulness meditation simply because they have a mistaken understanding of what mindfulness meditation actually is. It's completely understandable how this misconception has come about, for example the photo of the woman meditating above portrays bliss, beauty, serenity, and tranquility. This is a typical depiction of meditation, and this does occur. 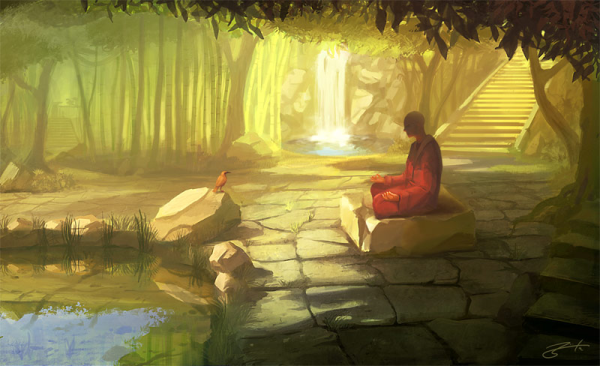 You may experience peace and relaxation as a by product of meditating. It is also common to experience anger, fear, or any other state that comes with the experience of being a human being. This is normal. Allow these states to flow through your experience. Mindfulness meditation in short, is moment to moment, non-judgmental awareness of the present moment. It is paying attention with gentle curiosity, loving kind awareness, and acceptance of what IS happening now. Click here to take this self-compassion testonline and have it scored for you. This scaled has been researched and validated by Dr. Kristin Neff out of the University of Texas at Austin. I suggest this self-compassion scale because mindfulness meditation is a practice of paying attention to YOU. Mindfully paying attention to yourself can be challenging, especially if you haven't done it for a while. Additionally, If you're not in the habit of liking yourself, it may be more difficult for you to stick with the practice. 4. Increase your Self-Compassion Scale score a few points by practicing LovingKindness meditations, and other self-compassion raising exercises. One of my favorites is called "Waiting on yourself". There are several compassion raising exercises/MP3 downloads on this site by Christopher Germer, PhD. 5. Intention: Get clear on this. What is your motivation for meditating? Intention is a powerful force. For some reason inside, you feel the need to learn to meditate. This is an important guide - it will be the reason you return to the cushion, even when you don't "feel like it". This is willingness. The sign of a truly seasoned meditator isn't someone who experiences nirvana every time he or she meditates. The sign of a seasoned meditator is someone who is WILLING to return to the cushion over and over and over again and actually do the practice. Practice: The most important piece of meditating is actually doing it. Whatever practice you commit to, do it. If you commit to 20 minutes a day, do it. If it's 5 minutes a day,that is great too, whatever commitment you make, just show up for yourself with loving curiosity and gentle kindness.